High plateau — it’s a phrase starting to pop up a lot more in descriptions of metro Denver’s housing market. “As long as we have economic growth, we will likely bump along a plateau both in terms of price and volume,” said Mark Boud, chief economist at Real Estate Economics, which recently merged with Hanley Woods Metrostudy. Boud predicts a three-year run of double-digit gains in metro-Denver home prices will come to an end in the second half of the year, ushering in a long stretch of meager price increases and then small declines. Barring major job losses, Boud doesn’t see a slump like 2007 to 2009, when the metro area suffered a tough stretch of falling home prices that drove a surge in foreclosures and distressed sales. But the leveling off could require an adjustment in thinking and strategy in a market accustomed to sharp increases in home prices. And someone who buys in 2017 might find themselves sitting on zero appreciation come 2021. “If we get anything under 5 percent in appreciation, sellers will lose their mind and think the market is collapsing,” said Anthony Rael, chairman of the Denver Real Estate Market Trends Committee at the Denver Metro Association of Realtors. But that is exactly what’s predicted by Real Estate Economics, based in Orange County, Calif. Its forecast calls for a 5.4 percent gain in median home prices in metro Denver this year followed by a 2.8 percent increase in 2017 and a 1.8 percent increase in 2018. Those aren’t horrible numbers, but they look pale after gains that averaged 12 percent a year from 2013 to 2015. What comes after 2019 will feel even more uncomfortable, especially for buyers late to the game — a 1.6 percent decline in 2020 and a 2.7 percent drop in median home prices in 2021. Gary Bauer, an independent broker who has watched Denver’s housing market move through several cycles, agrees that double-digit home prices can’t continue. He doesn’t agree that they will stall and turn negative. “My personal forecast was that home-price appreciation this year would be in the 5 percent range,” he said. Looking ahead, he sees it holding in that range barring a slowdown that eliminates jobs and reverses migration to the region. Rael, in a report he authored on June home sales, also suggested a plateau may be on the horizon for the region, but he said the reference reflects a seasonal trend and not a long-term forecast, which DMAR tries to stay away from making. June saw a huge 24.4 percent jump in the inventory of homes for sale versus May, an increase about six times the historical average between the two months. And while the overall inventory was still a historically low 6,769, agents note that a change is in the air, even if it hasn’t yet shown up in rates of appreciation, which are still running in the double-digits. Redfin broker Michelle Ackerman said the big jump in inventory should have translated into more showings this month, but that isn’t happening. Properties are still moving fast, especially on the lower-end of the market. But sellers are getting fewer offers than just a few months ago and fewer buyers are touring homes. In something she hasn’t seen in two decades, Ackerman said bank underwriters are getting much more cautious, asking for more time to review appraisals and in some cases challenging them. Challenging the momentum of metro Denver’s housing, which has consistently made the list of the country’s hottest markets, isn’t something done lightly. Reputable national firms such as Clear Capital and Zillow prematurely forecast deceleration in metro Denver, only to be proven wrong, not unlike a gambler who bets red because the roulette wheel keeps showing black. “We look at the 40-year trend line between mortgage costs and incomes. 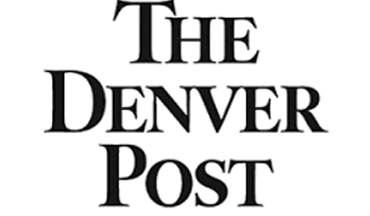 It moves up very slowly and Denver is still 1.8 percent undervalued,” Boud said. Calling Denver’s housing market undervalued may sound odd. But it is why Real Estate Economics model correctly called for sustained price increases. That model shows metro Denver is moving from an undersupplied and undervalued market to one that is overvalued but still undersupplied. So why the shift? Basically, metro Denver home prices have finally reached the limits of what incomes here can support, leaving a thinner cushion to accommodate rising mortgage rates. Real Estate Economics projects that the rate on a 30-year loan, now around 3.6 percent, will slowly climb to 5.8 percent by 2020. “Those are still low rates, but we are at an artificially low level of mortgage rates,” Boud said. As it becomes more expensive to finance a home, something has to give — home-price appreciation. But the bottom won’t drop out as long as developers and builders continue to put out too little supply. Metro Denver historically supplied a new home or apartment for every 1.2 new jobs added, better than the national ratio of one home for every three jobs. But in recent years, metro Denver builders have only supplied one housing unit for every five jobs, creating an extreme imbalance that pushed up prices. “Builders remember how badly they were burnt. Cities and counties are making it more challenging with obstacles to development. We have a dire lack of housing-construction employees,” Boud said. With land and labor constrained, builders have focused on the highest profit margin opportunities — luxury apartments and higher-end homes. That leaves those segments of the market more vulnerable to any softening. One group will have a disproportionate influence on the housing market in the years ahead: retirees who are rich in home equity but short on savings. If they perceive the market is about to roll over, they may put their properties up for sale sooner rather than later. The Real Estate Economics model puts the median home price for metro Denver at $359,044 at the end of 2016. Although several things could derail its forecast, most notably flat mortgage rates, the model predicts that median home prices in metro Denver will be $360,985 by the end of 2021.